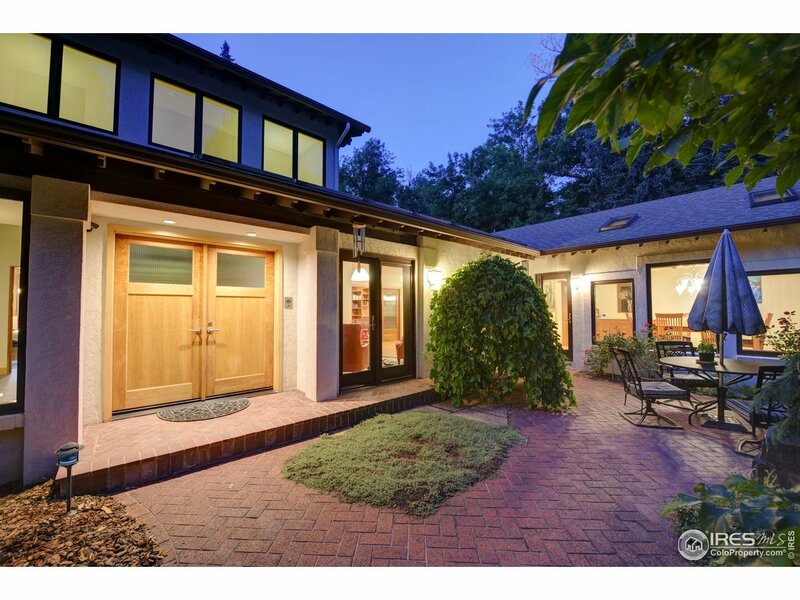 Truly one of the most spectacular lots in Boulder, this secluded 8,500 sq. ft. home is tucked privately among towering oak & spruce trees on a sprawling 1.3 acre lot. Designed to maximize natural light, flow & connection between the expansive spaces, you&apos;ll find luxury features around every corner in this architecturally compelling home. With multiple courtyards & outdoor entertaining areas, the home&apos;s footprint was designed to maximize access to the lush & whimsical gardens & park-like yard.